The friend whose bird was at the wedding I blogged about on July 5 got me the picture of him, and I wanted to post it. 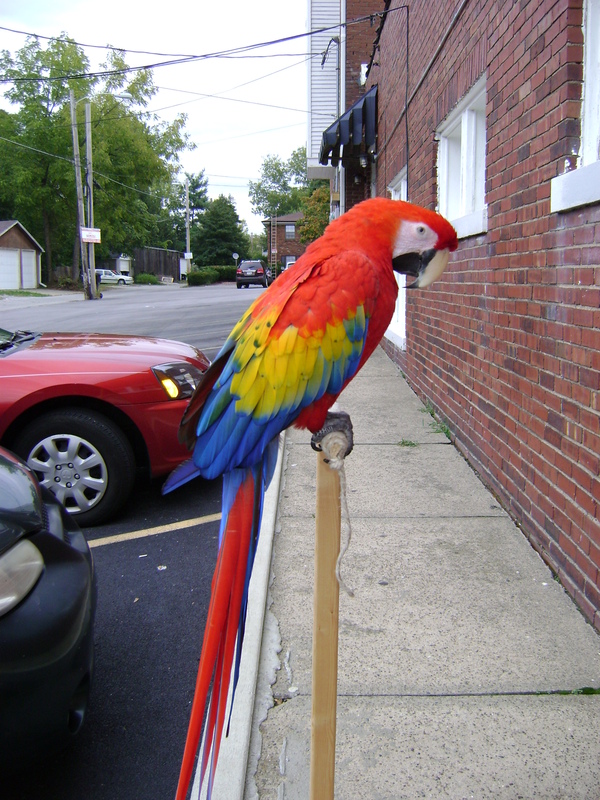 This is Harvard, the rainbow-hued scarlet macaw. I’m not a huge fan of “kept” birds (hate the squawking!) but this is one gorgeous fellow!